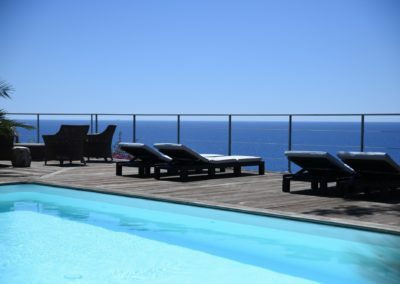 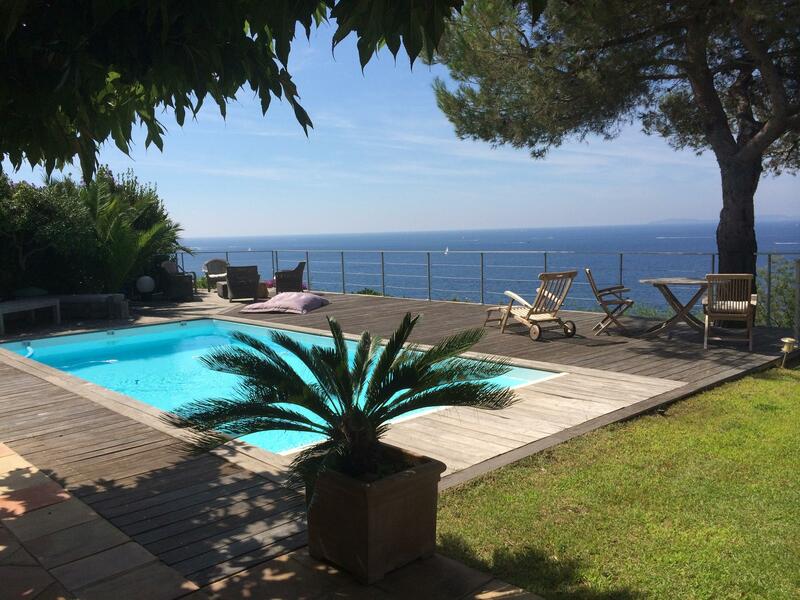 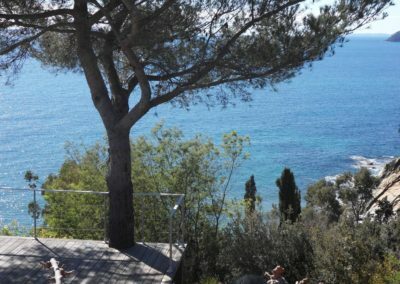 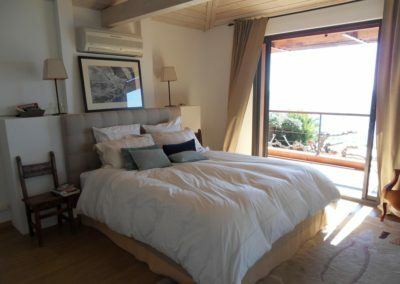 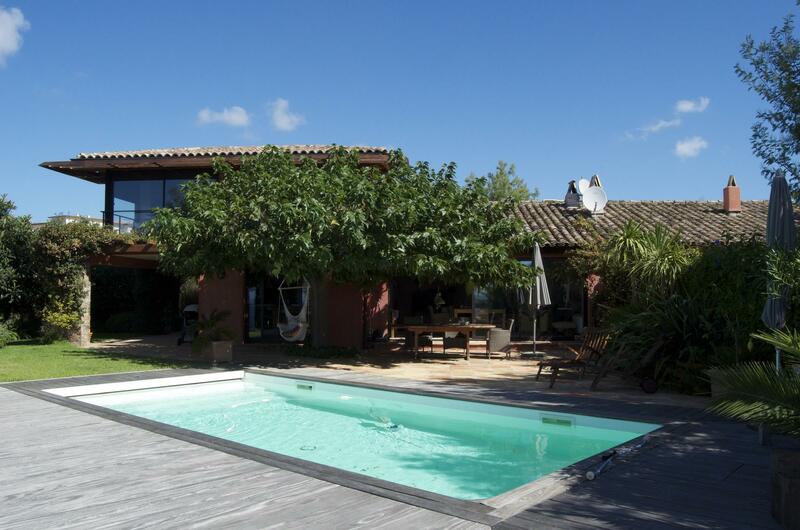 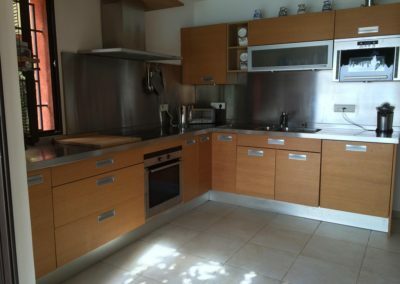 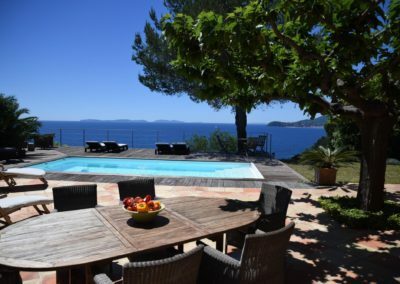 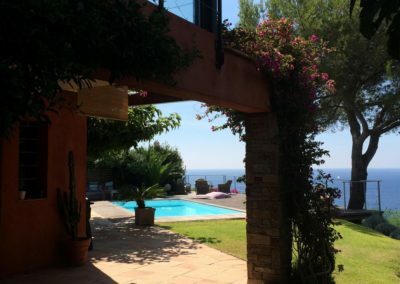 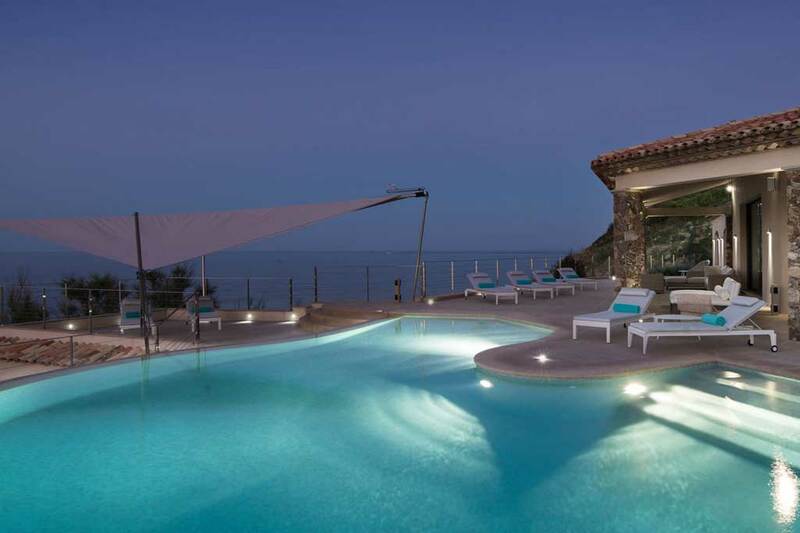 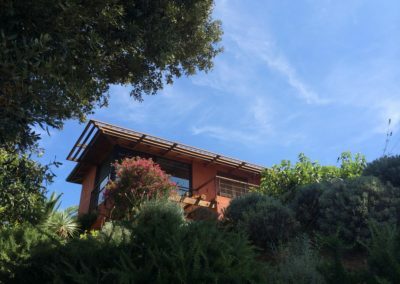 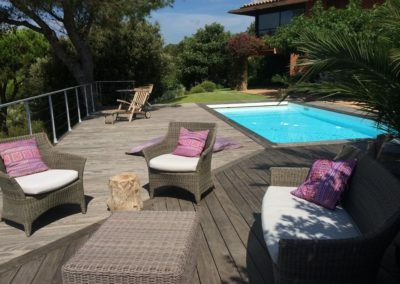 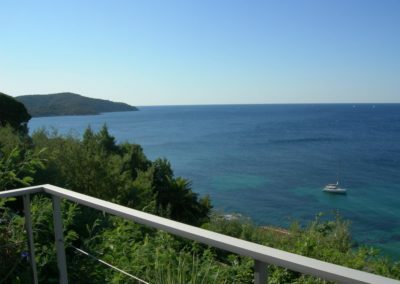 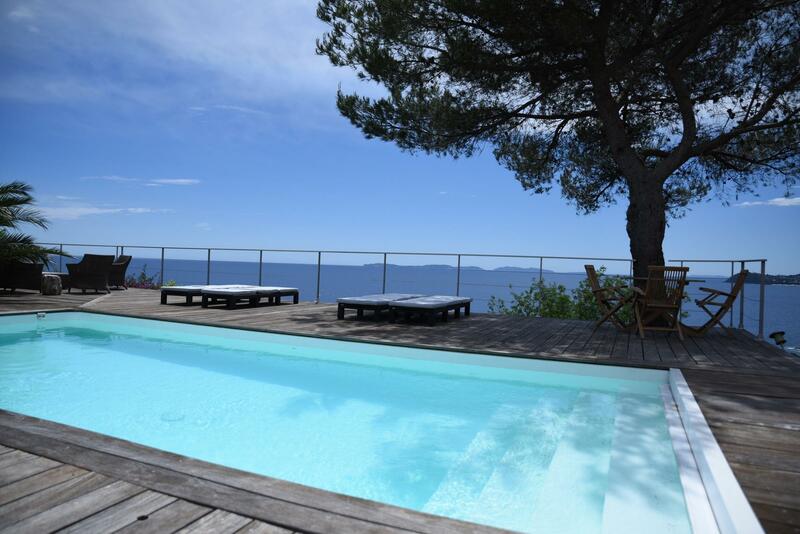 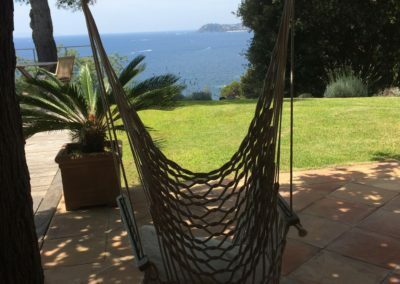 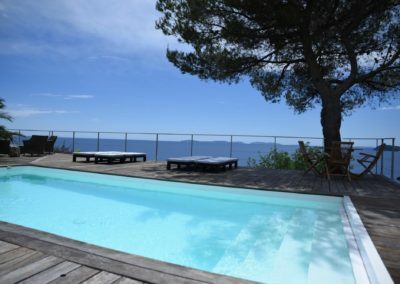 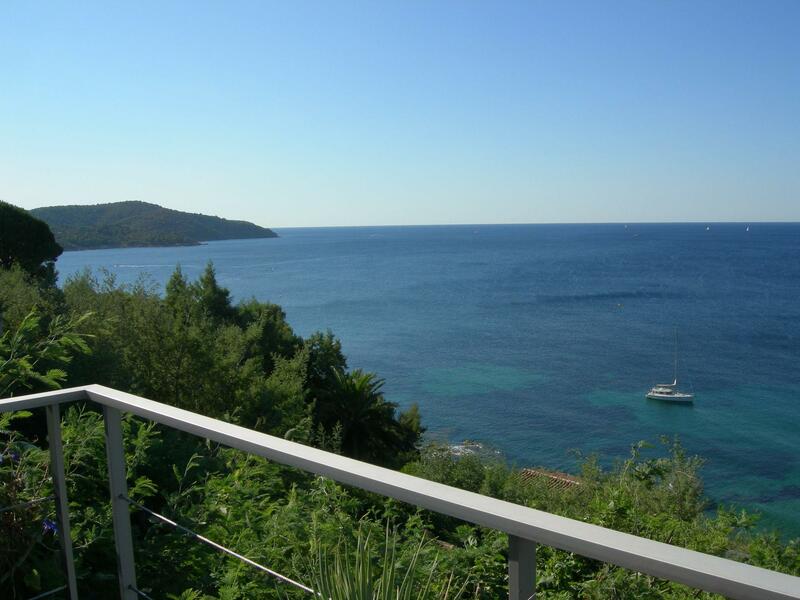 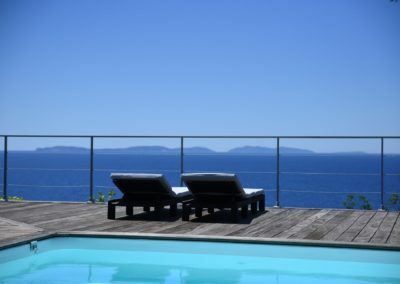 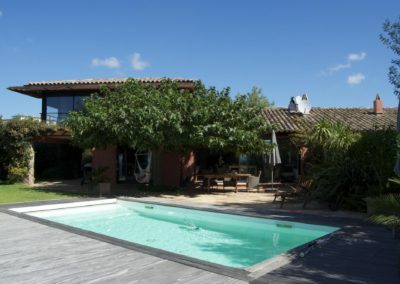 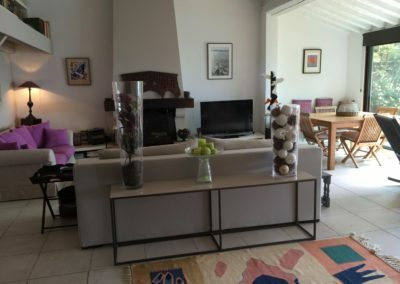 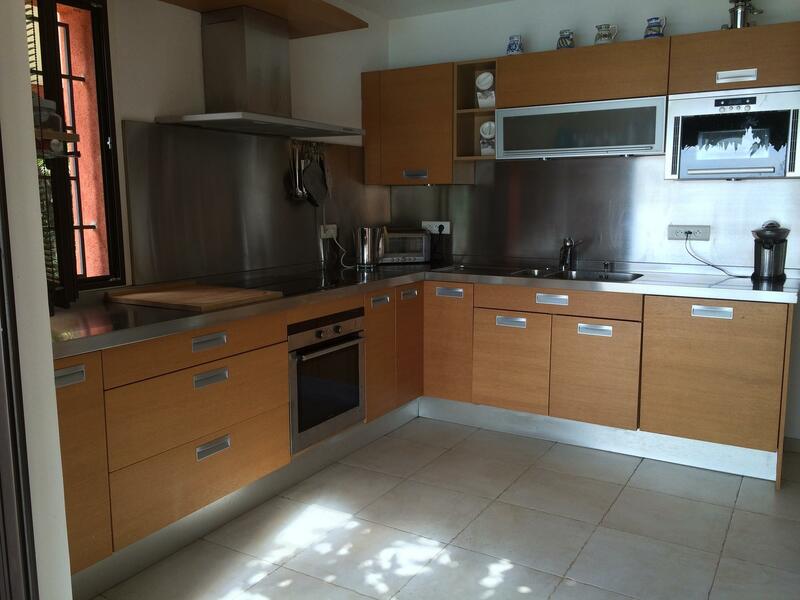 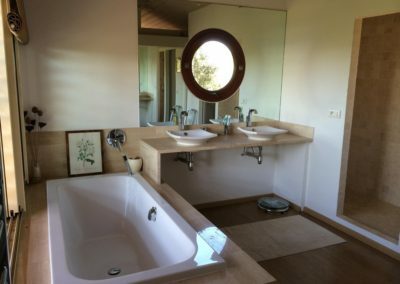 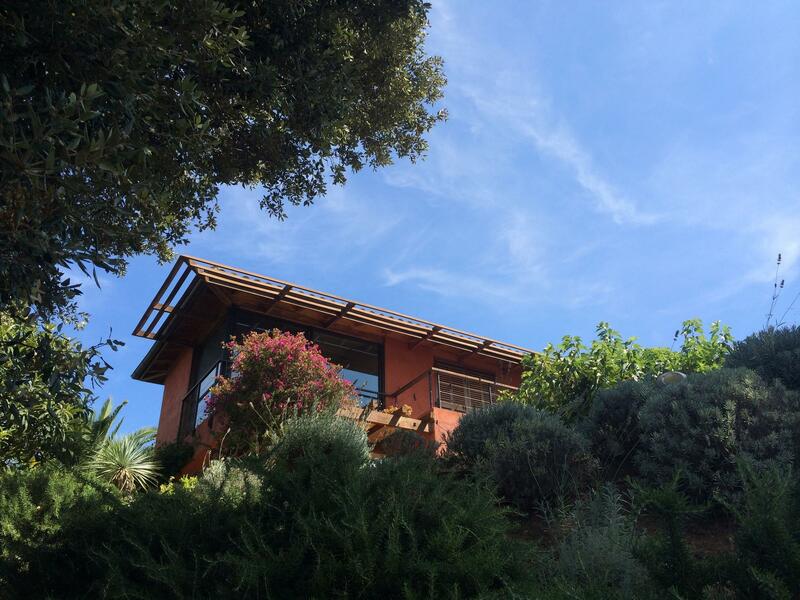 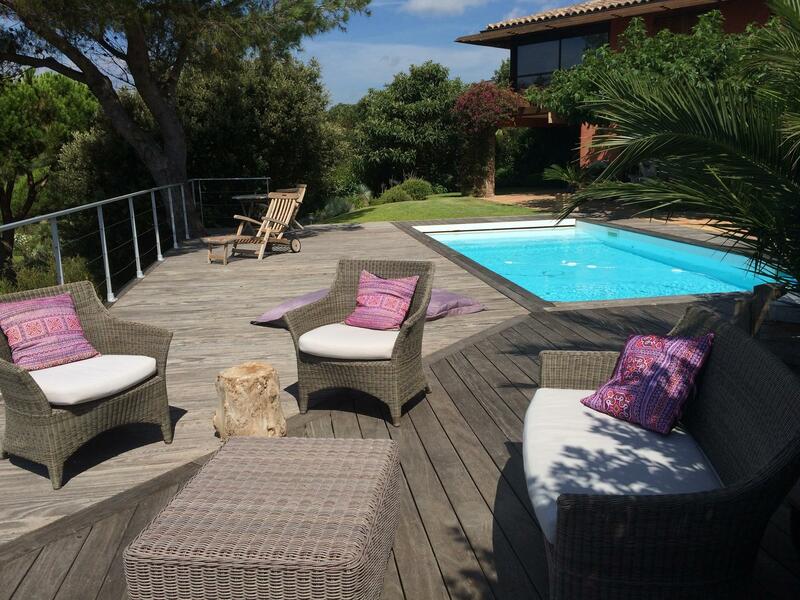 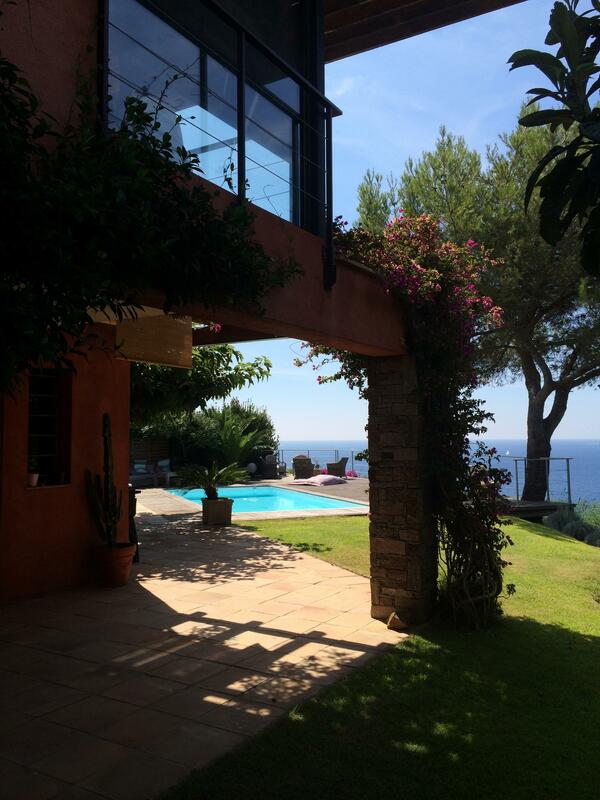 This modern villa with private pool and three air conditioned bedrooms enjoys a fabulous location, perched above Sylvabell beach, with panoramic views across the horseshoe-shaped coastline of the Bay of Cavalaire and towards Les Iles d’Or. 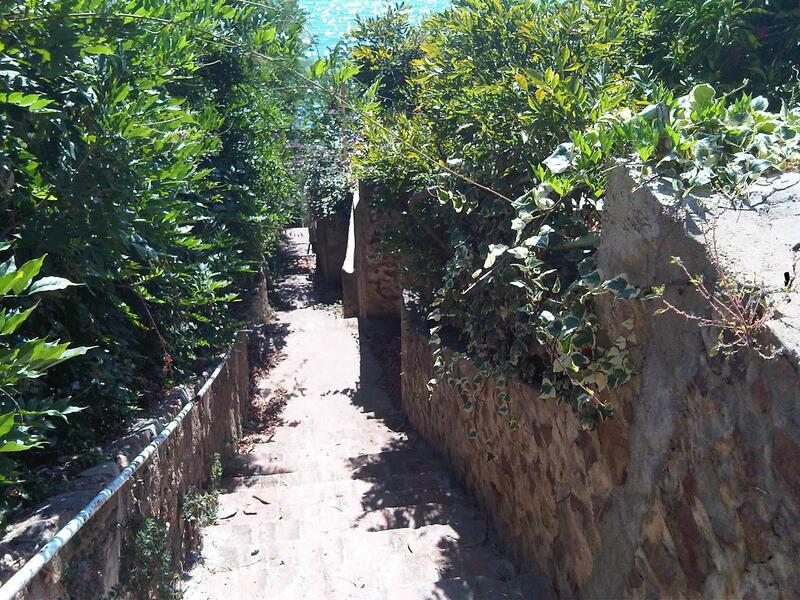 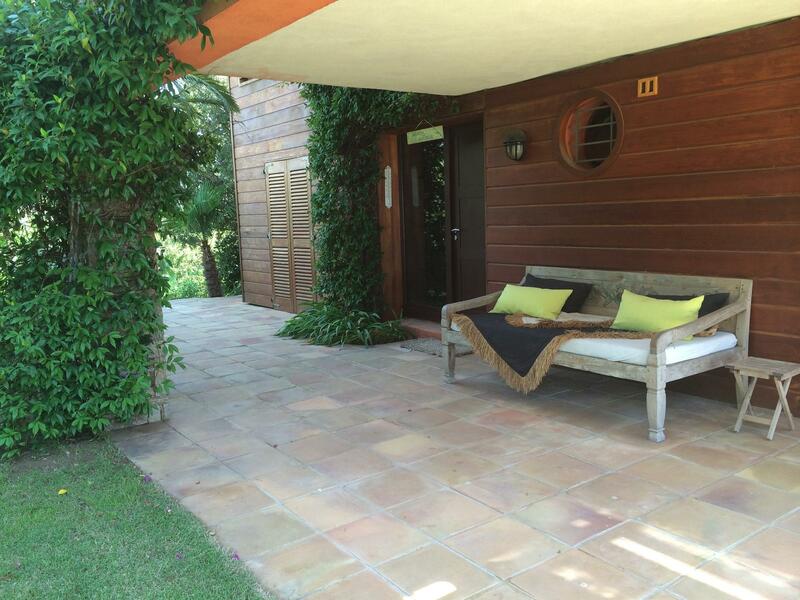 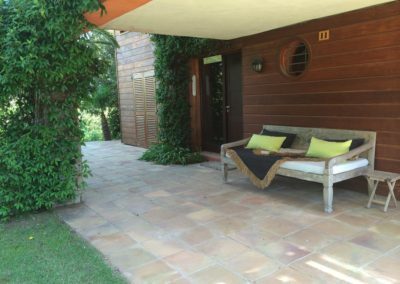 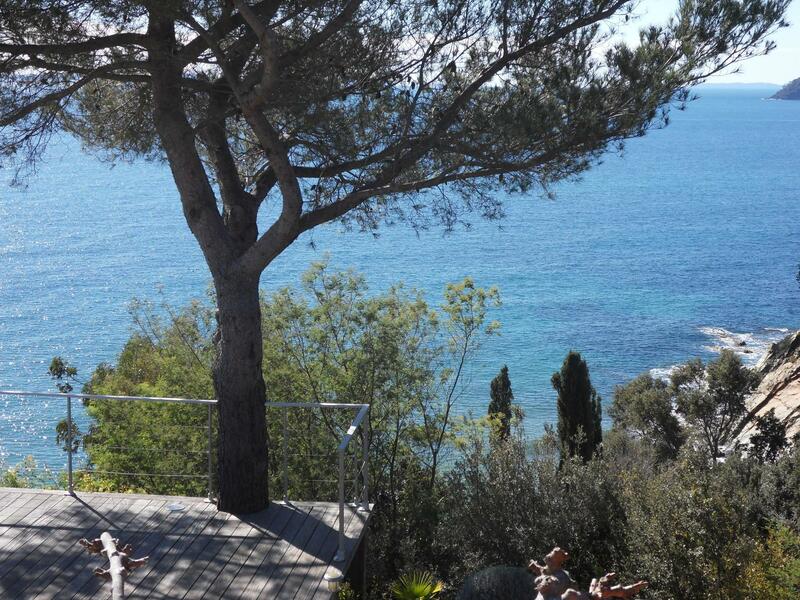 Private steps, shared by only 3 villas, lead directly down to the beach. 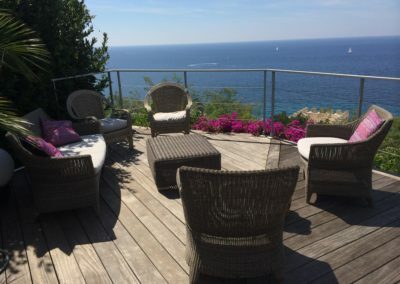 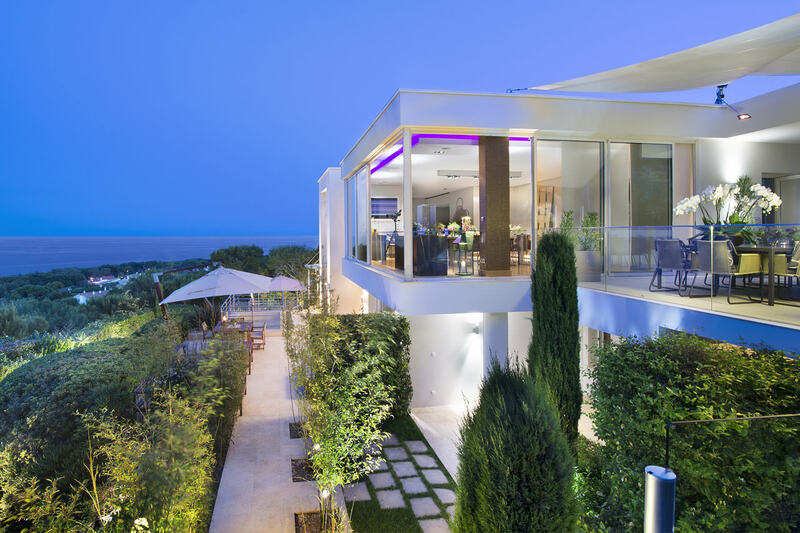 Equipped with all modern comforts in a contemporary style, Vue des Iles offers an ideal location for those wishing to experience the unspoilt charm of this renowned seaside region along the French Riviera. Wake up every morning to the lovely view of the Mediterranean Sea and enjoy your breakfast on the large terrace which surrounds the pool. 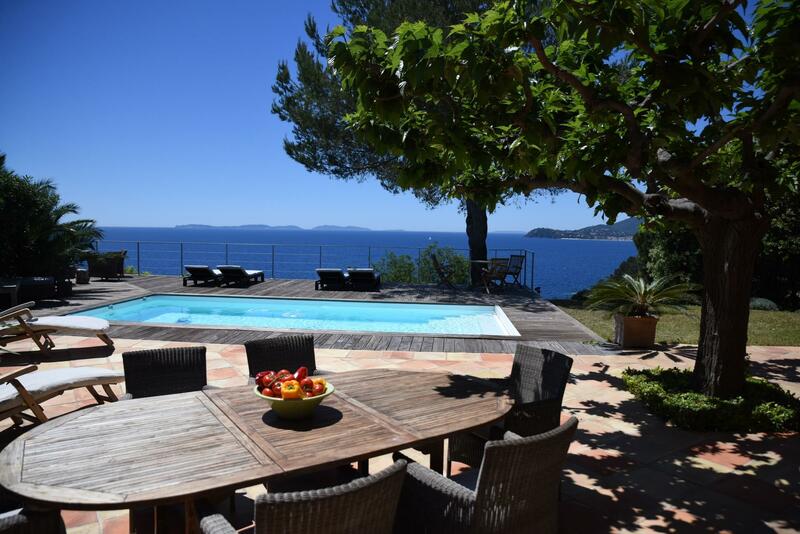 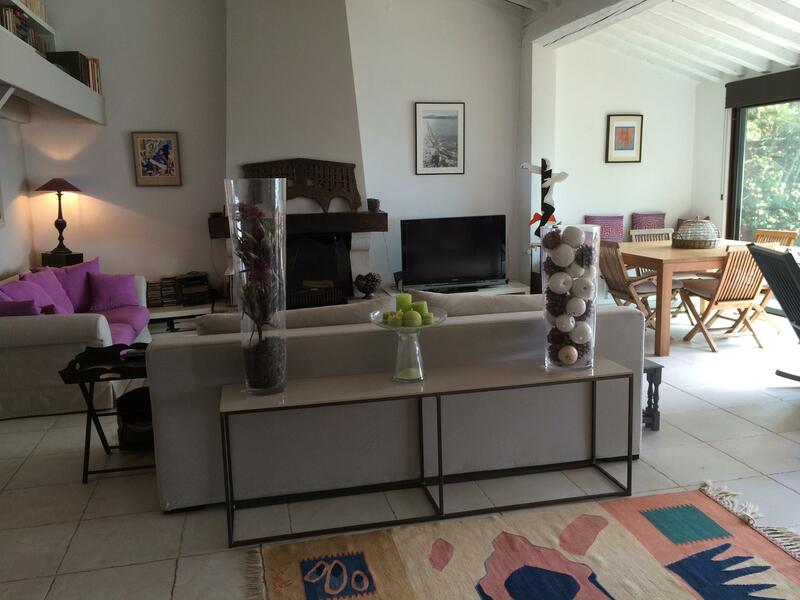 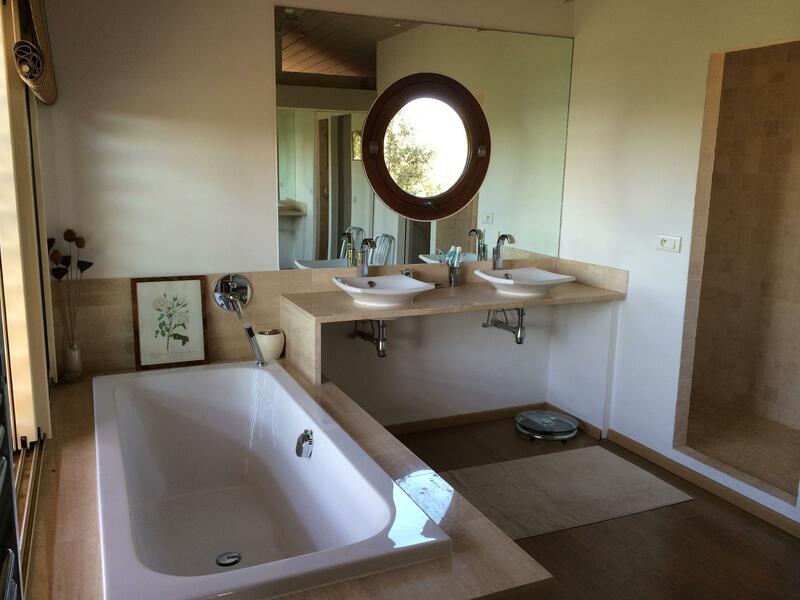 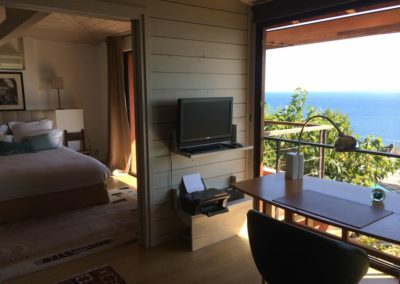 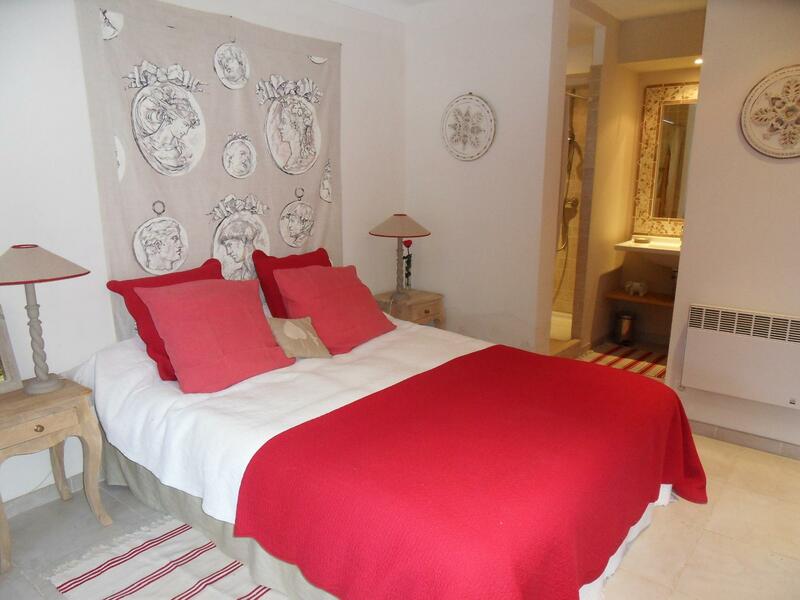 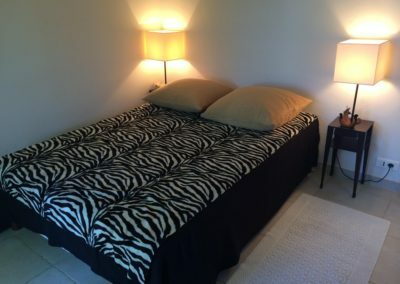 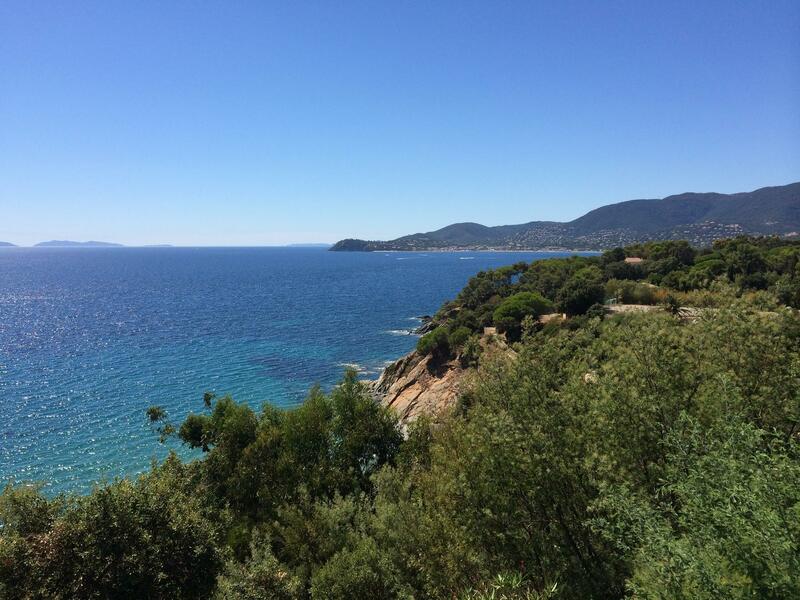 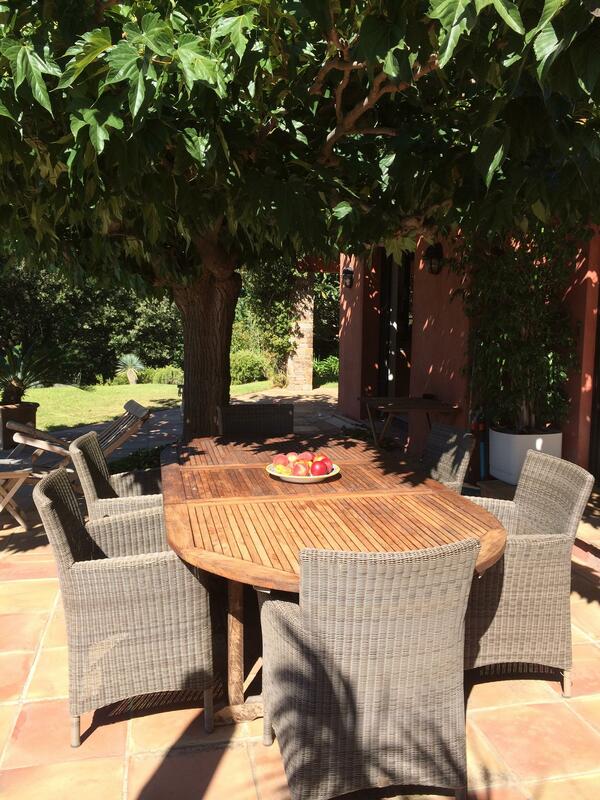 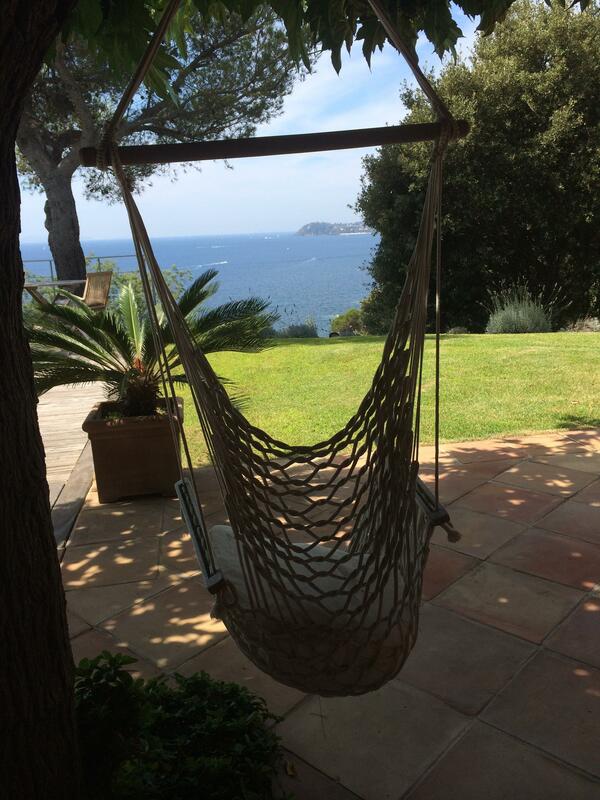 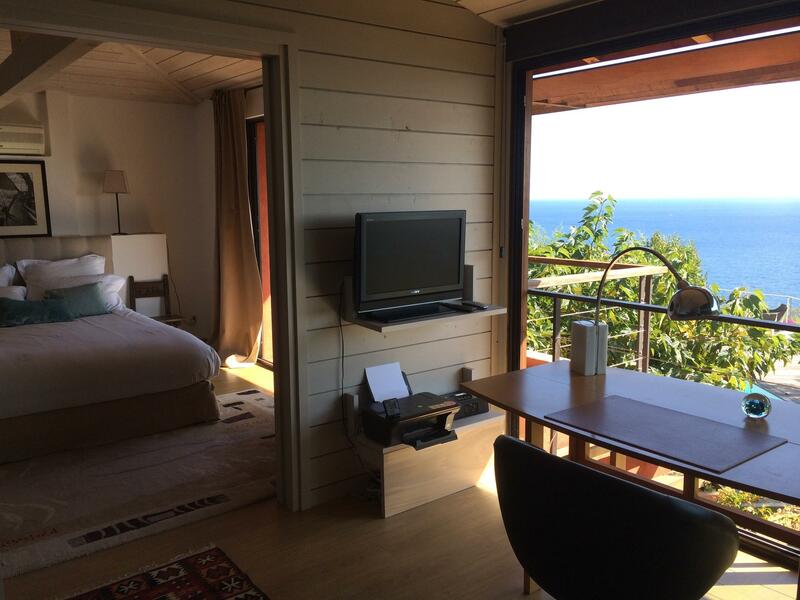 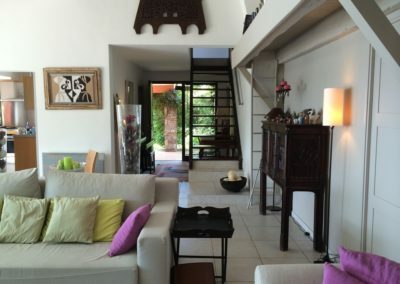 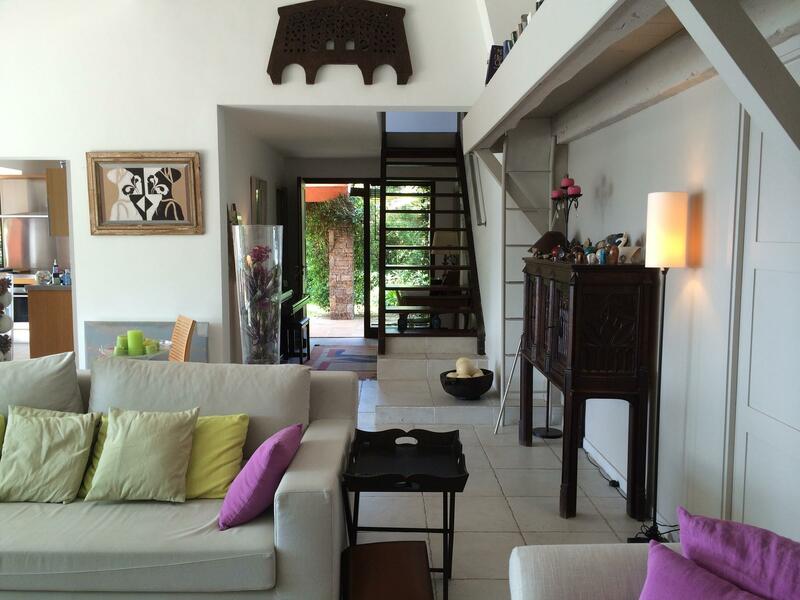 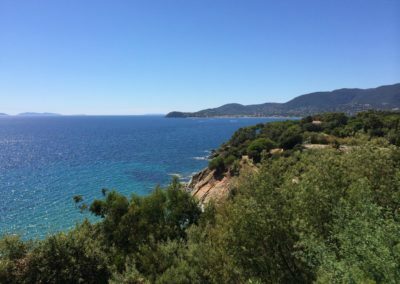 Thanks to its ideal situation on the border between the Var and Provence, less than 2 miles from La Croix Valmer,Vue des Iles is an excellent base for exploring these very diverse regions. 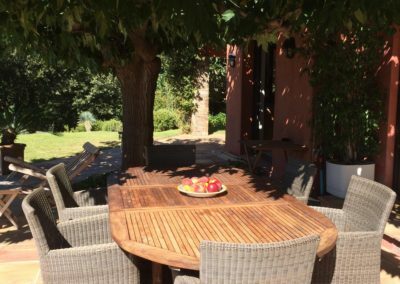 If you go inland you will encounter peaceful rolling countryside dotted with hilltop villages each featuring typical weekly markets. 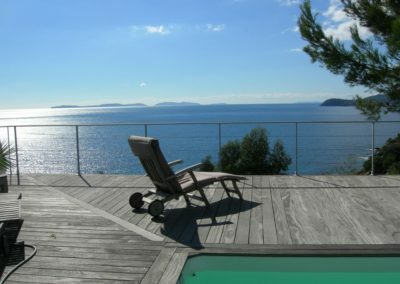 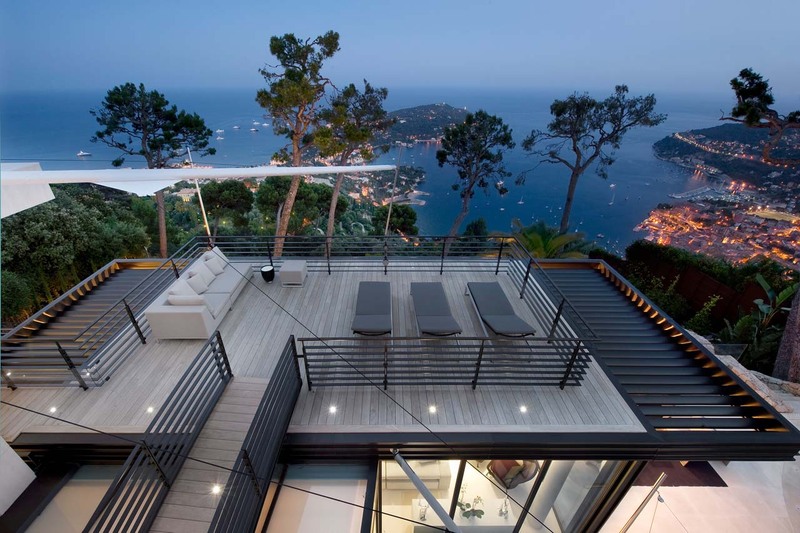 On the other side of your villa, the stretch of coastline towards Le Lavandou offers spectacular scenery, fine sandy beaches, turquoise sea and a number of lively resorts with cafes, marinas and palm tree-lined promenades where you can spend unforgettable days during your vacation in the South of France.